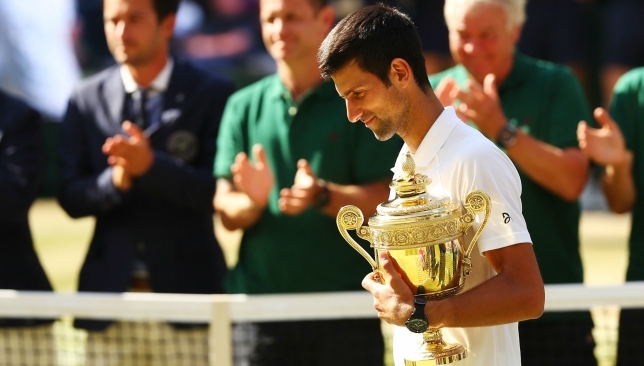 Novak Djokovic has got his hands on the Wimbledon Trophy once again. 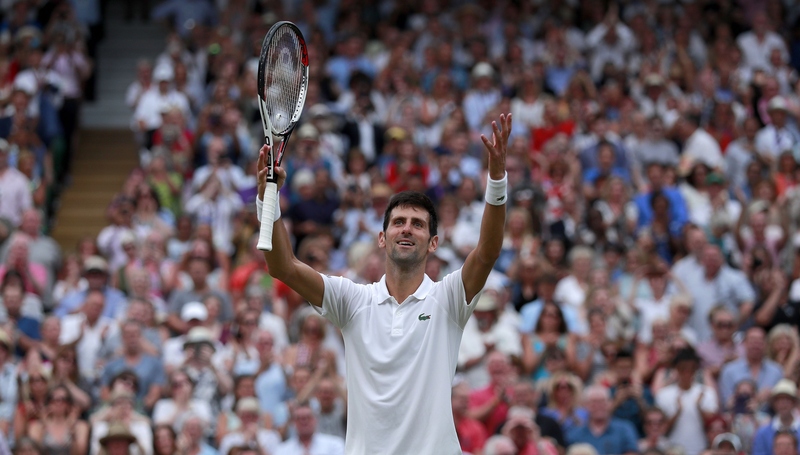 Novak Djokovic is a grand slam winner once again after defeating a weary Kevin Anderson to claim his fourth Wimbledon title. 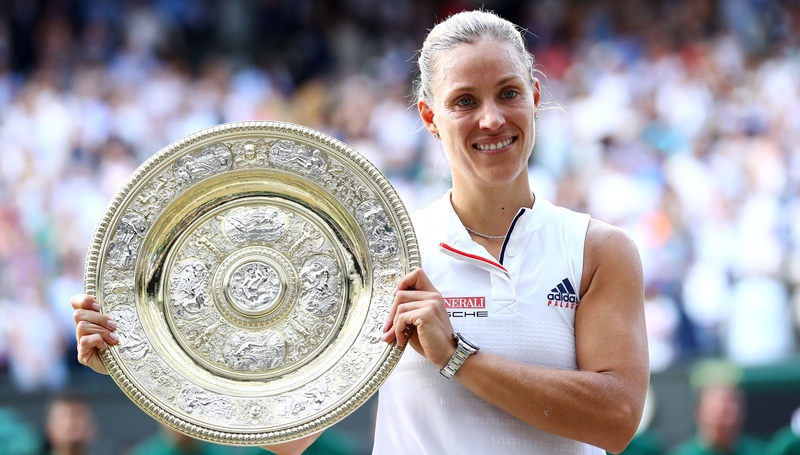 The Serbian has been fighting for two years to restore health, form and confidence after the heights of making it four slam titles in a row at the French Open in 2016. His two-day semi-final victory over Rafael Nadal proved he was back to his best and he fought off a comeback from Anderson to win 6-2 6-2 7-6 (7/3), earning him a 13th grand slam trophy. 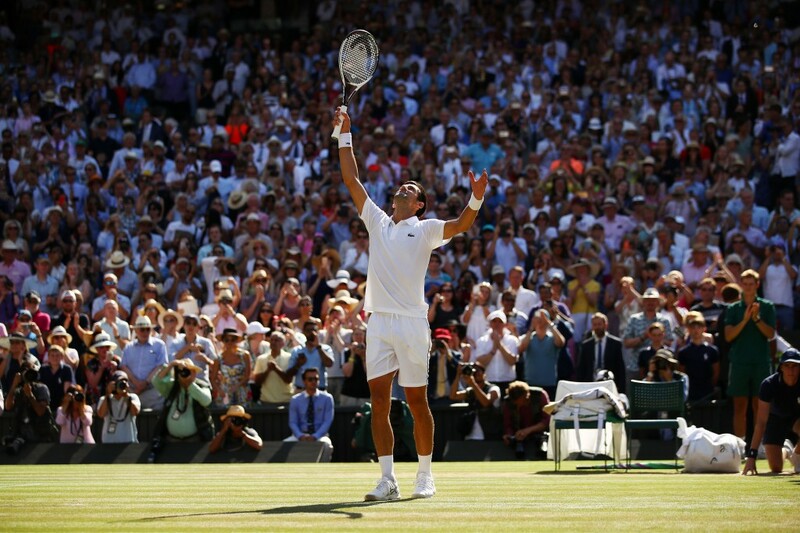 Anderson, in his first Wimbledon final, had five set points in the third set but could not take any of them. And Djokovic wrapped up victory after two hours and 19 minutes, pointing his finger at the sky before taking his now customary bite of the Centre Court grass. Anderson did not even schedule a practice session on Saturday as he battled to recover from the effects of his epic semi-final against John Isner, where he finally overcame the giant American after six hours and 36 minutes. That came on the back of the four hours and 14 minutes he played to defeat Roger Federer in the match of his life in the quarter-finals, so it seemed inevitable he would not be at his peak. Djokovic also had to focus on rest and recuperation following his stunning match against Nadal, more than two hours of which were played on Saturday after the 11pm curfew cut them off on Friday night. Djokovic takes in the applause following his win. But he made the perfect start, reading the Anderson serve immediately and breaking in the opening game when the South African double-faulted. The crowd, which included Prime Minister Theresa May and the Duke and Duchess of Cambridge watching from the Royal Box, were desperate to see Anderson at least make a match of it. But his physical troubles were evident when he called the trainer at the end of the first set for massage on his right arm, which has done more than its fair share of serving this fortnight. After last year’s final, when Marin Cilic was heavily beaten by Roger Federer and his own blistered foot, this was shaping up to be another underwhelming occasion, but Anderson was determined not to go down meekly. The 32-year-old has worked tirelessly to improve his game and has seen the rewards over the last two years, including a first slam final at the US Open last summer and a place in the top 10. He could not prevent the second set slipping away but Djokovic was no longer having an easy time of it and Anderson ensured he kept his nose in front early in the third set. Djokovic was increasingly on the back foot in rallies, and he double-faulted twice to cough up two set points at 4-5 – only to hold his nerve and save them both. On the first, the crowd roared prematurely when they thought he had missed a forehand, prompting the Serbian to put his finger to his lips and then pump his fist in their direction when he finally held. It was reminiscent of his third-round win over Kyle Edmund, but this time the crowd reaction was less about bias towards his opponent than in favour of a great contest. Anderson was certainly doing his best to create that, but three more set points came and went in the next Djokovic service game and they headed into a tie-break, where the Serbian quickly stamped his foot down and did not yield.